The Information Regulator is of the firm opinion that the direct marketing provisions in Section 69 of the Protection of Personal Information (POPI) Act are in the best interests of data subjects. This after the Direct Marketers Association of SA (DMASA) last week said it wants the "opt-in" regulation of the POPI Act to be deferred by at least three years. It argued that one of the regulations that will negatively impact the direct marketing industry relates to Section 69 of POPI, which only permits companies to communicate with individuals who have previously opted into receiving such communications. According to David Dickens, CEO of DMASA, this provision is based on similar legislation in developed markets such as the UK, but is not suitable for a developing economy such as SA. Section 69 of the POPI Act provides that a consumer must consent before electronic direct marketing can take place. This applies unless that consumer is an existing customer who gave their personal information to the supplier in the context of a sale for the purpose of direct marketing, and "has been given a reasonable opportunity to object, free of charge and in a manner free of unnecessary formality". However, it says the direct marketer may contact any consumer "only once in order to obtain the consent" of the consumer. The Information Regulator has now requested a meeting with the chief executive officer of the DMASA following the publication of the article on ITWeb. 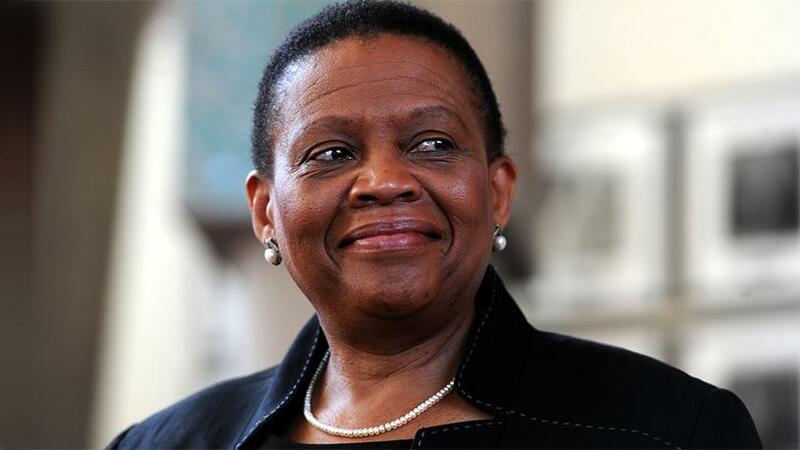 In a statement, chairperson of the Information Regulator, advocate Pansy Tlakula, says: "The purpose of the meeting is to discuss the concerns that have been raised in the article titled 'Direct marketers slam POPI 'opt-in' provisions' written by the business editor of ITWeb Mr Admire Moyo." "Opt-out in the context of direct marketing means direct marketing can be directed at a data subject without obtaining the data subject's consent," says Tlakula. "Once the data subject indicates that he/she no longer wishes to receive direct marketing from a responsible party, she indicates her objection through opting-out. This is usually done through clicking on an unsubscribe link or messaging 'STOP' to the responsible party." She points out that opt-out has been adopted in several laws, including in the POPI Act and in the Consumer Protection Act. Section 11 of the Consumer Protection Act provides that the right of every person to privacy includes the right to refuse to accept; require another person to discontinue; or to pre-emptively block any approach or communication to that person, if the approach or communication is primarily for the purpose of direct marketing. The pre-emptive block (the opt-out register) has not yet been created. Tlakula explains that in the context of direct marketing, opt-in means the data subject's consent has to be obtained before direct marketing can be directed at that data subject. "Opt-in provides effective remedies against the selling of personal information for marketing purposes. This approach has been adopted in Section 69 of the POPI Act. In terms of Section 69 of POPIA, it is unlawful for a direct marketer to market goods or services to a data subject through electronic communication without first obtaining the data subject's consent." Moreover, she adds, the data subject's consent may only be requested once. Section 69(2) of POPIA gives marketers the right to approach a data subject once for purposes of direct marketing through electronic communication. According to Tlakula, in terms of the POPI Act, responsible parties may only send direct marketing to data subjects that are customers if (a) the contact details were obtained in the context of a sale of a product or a service; (b) the contact details were obtained for the purpose of direct marketing of the responsible party's own similar products and services; and (c) the data subject is given the opportunity to object to such use of contact details at the time when the information (the contact details) were obtained; and on each occasion of communication for the purpose of marketing if the data subject has not initially refused such use. She notes these provisions provide extensive conditions for the lawful processing of personal information. The DMASA has created an opt-out register but this is only binding on the marketers that are members, she says. Tlakula points out that Section 69 and its effect on direct marketing should be viewed in light of the regulator's constitutional mandate. "The regulator's legislative mandate is to give effect to the constitutional right to privacy by safeguarding personal information when processed by a responsible party. The regulator is of the firm opinion that the direct marketing provisions in Section 69 of POPIA are in the best interests of data subjects, she says. "The provisions are fair and on par with international best practices. Data subjects will be protected against unsolicited direct marketing once responsible parties' processing of personal information is compliant with POPIA. This will strengthen their constitutional right to privacy. "The regulator is hard at work to ensure the remaining sections of POPIA come into effect before the end of this year. South Africans cannot wait any longer for the full operationalisation of the regulator." The DMASA could not be reached for comment by the time of publishing.